On Sunday, the student far-left activist from Parkland, Florida Emma Gonzales reacted to the Nashville shooting in which four people died, with a tweet that proved that she, like the other survivors of the mass school shooting in Parkland, Florida, will not miss an opportunity to promote their agenda. 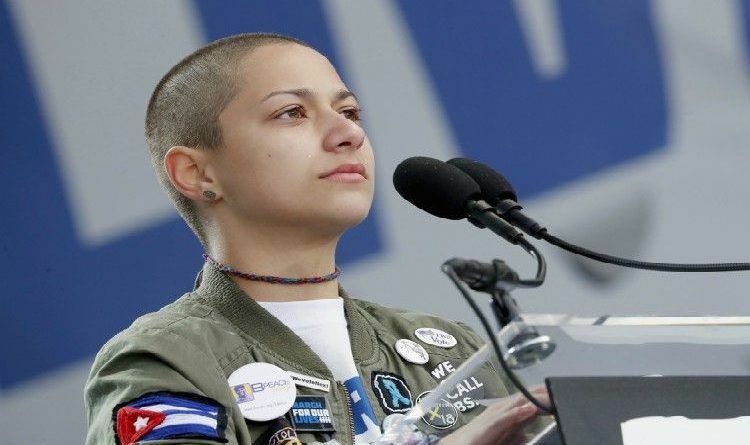 The far-left activist Emma González immediately attacked the NRA and Smith & Wesson Corp. Shes called for the confiscation of all semi-automatic weapons from American society in the wake of a shooting in Tennessee. (4/4) Removing the assault and semi-automatic weapons from our Civilian society, instituting thorough background checks and mandatory waiting periods (and raising the buying age and banning the production of high-capacity magazines) are the ways to stop shootings in America. So let us get this straight – she wants to raise the age to buy a gun because they don’t have the mental capacity to own one responsibly… but you want to lower the voting age? In her next tweet, Gonzales falsely claimed that mass shootings do not happen in other countries. The only thing more dangerous than a person who knows everything is someone who thinks they know everything but knows nothing! Ignorance is willful, not just a matter of circumstance. As someone, who averted her own tragedy, you would think she would have some revelations. But clearly, she’s just as ignorant as she was before the incident. These gun activists are still focusing on actions that won’t even come close to solving or reducing criminal activity. How are they going to get guns out of criminal hands? The law-abiding Citizens are not committing the crimes. Their anti-gun movement is a failure and the only thing it could hope to accomplish is another civil war.